Frozen cocktails can be as big a part of a party as the food, dessert and activities. When done right, frozen drinks taste great, are fun to make and can even start a conversation. However, children and people who don't drink shouldn't be left out when it comes to these fun, interesting beverages. There are plenty of frozen concoctions that you can whip up that don't have any liquor in them. Try some of these virgin cocktails in your frozen concoction maker next time you're entertaining so that every guest can be involved in the fun! There's a reason that margaritas are so popular, and it's not just the tequila. The mix of sweet, sour and salty in a frozen concoction is irresistible and can make a great treat without any alcohol at all. 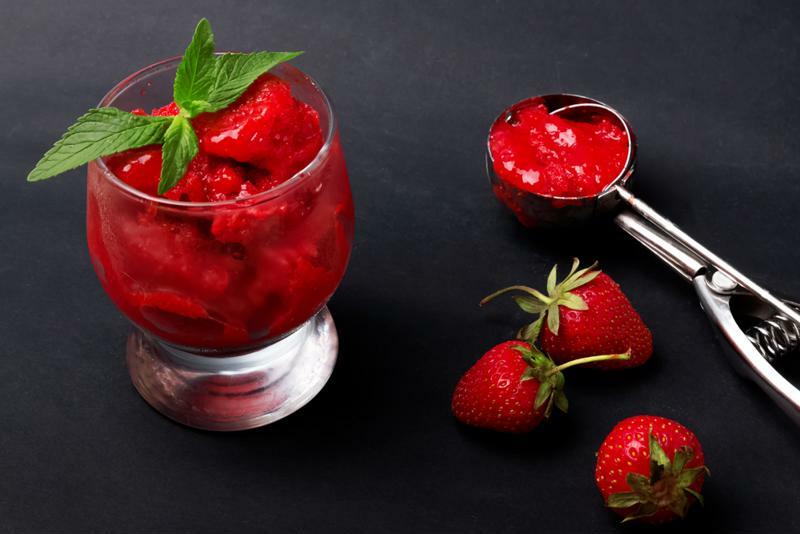 Include some strawberry sorbet to enhance the drink's flavor. Combine frozen strawberries, lemonade concentrate, water, agave nectar (as close to tequila as you need) and a splash of your favorite juice in your party machine's bender jar. Then just fill up your ice compartment, turn it on and let the machine do the work. Serve this mocktail in a margarita glass with a salted rim so that your guests can get the full effect. Mojitos are characterized by the mix of lime, mint, sugar and rum. But, if you switch out that rum for a bit more of everything else, you're left with a mighty good drink. Mix club soda, lime juice and sugar in your frozen concoction maker's blender jar, fill up the ice hopper and turn it on. Once it's sufficiently blended, pour your mix into a tumbler glass with plenty of mint leaves at the bottom and a lime wedge as a garnish. Sangria has so many ingredients already, you can easily skip the alcohol for a fruity, frozen alternative. Simply mix orange juice, grape juice, pomegranate juice, club soda, iced tea, cut apples, cut oranges, cut lemons and cut limes in your party machine. Add ice and turn it on. You'll be left with a large batch of frozen sangria that has plenty of flavor. Fee free to add berries or other juices as preferred. Make this drink as much for its name as its taste. All you need to do is mix peach nectar, cranberry juice and grapefruit juice with ice in your party machine for a nonalcoholic version of the bar favorite.